Here are all the 5G phone prices and release dates, do you plan to buy one? It's getting hard to count all the rumors and actual announcement of "5G"-equipped phones that are coming our way as soon as this spring. Samsung, LG, Huawei, Xiaomi and others already have such unveilings behind their backs, while brands like OnePlus are soon to follow. 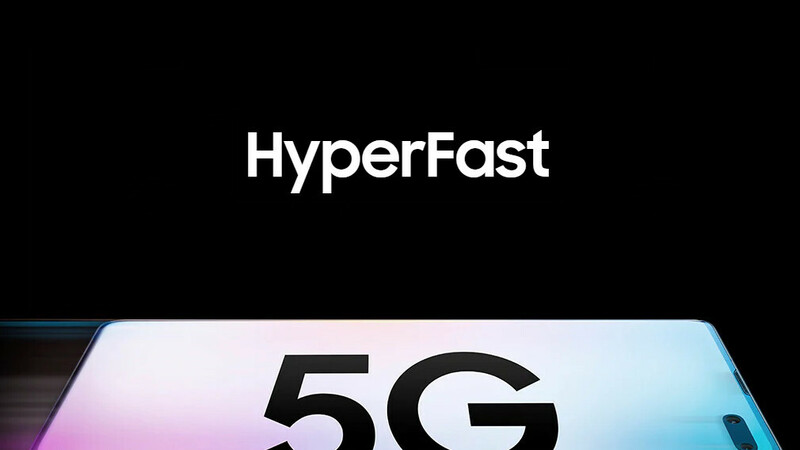 Here's a list of the more popular 5G gear announced or in the rumor mill. As you can see from the list above, the most popular brands have stuffed their 5G models to the gills, and even folded them in half, so their prices start north of a grand. We pin our hopes high on the Chinese warriors like Xiaomi or OnePlus to find a good price/features balance so that us plebs can also participate in the 5G (r)evolution. Verizon managed to beat South Korea to the punch by announcing the first commercial connection of a 5G phone (Moto Z3 with the respective mod) to a retail 5G network (Chicago, one lamp post near the stadium, we kid but not really). Together with AT&T and T-Mobile, however, the carrier has promised tens of 5G markets by years-end, this is why we wanted to ask you if you plan to get one of those 5G juggernauts above by the time Christmas rolls out and be at the forefront of the next step in the mobile revolution. Do tell which one has gotten your attention, too. Are you planning to buy a 5G phone this year? Video meetings, there you go guys, we need 5G for video meetings. .. OMFG!!!!!!!!!!!!!!! You need 4G for that; I didn't test Skype's 50 people but facetime works like a charm on my 4G (which gives me an average of 200 Mbps). It's "marketing" hype. It's the next new thing. You should be very familiar with it. It's the same thing as Retina Display, Liquid Retina Display, Infinity Display, Adaptive Display and so many other monikers. What would make it nice is, if we still had net neutrality where we could all enjoy using it on equal terms. But since people don't know how to vote, the Corps just are gonna have a field-day, on leaving us with almost nothing. At least overseas, they will enjoy full 5G when they get it. And what that price is? Iphone xs max 1500 in US, and can be higher oversea so take you pick. Phone prices only seem to go up. Also, why would they be the same price? They have to pack in a 5g and an ltr antenna and modem(more components necessary). There's no way these should be the same price. I live in Chicago were 5g is available. Buying the s10 5g as soon as it's released. The increase in display size along with next gen ram/storage (better than s10 s10+) was enough to sway me. Couple thing need to considers before buy: 1. Coverage got to be ready 2. Price got to be right 3. Reliability, connect have to consistently. 4. Speed need to be half what it advertise. Buying a 5g smartphone now is like buying a train with a few miles of track. I'll wait for more towers to go up. I imagine I'll probably pick up a LG V50 used once it's price drops. I want 5G to replace my pathetic in home broadband. That to be would be the game changer if I can get at least 200 Mbps with no bandwidth limit. LTE is good enough and most of the time I'm on WiFi. No reason to spend a couple extra hundreds unnecessarily.